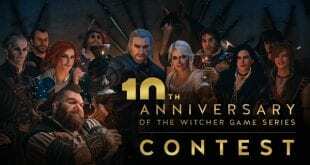 CD Projekt RED and Atari are presenting the new Witcher series! That’s an action-role playing game based on the Witcher novel by the Polish author, Andrzej Sapkowski. The storyline of the game is based on a supernatural powers, witchers in the medieval world. Now all that excitement continues in the brand new The Witcher 3: Wild Hunt Complete Edition, releasing on the 30th August for PC, Play Station 4 and Xbox One. The Witcher is a game that can be played in three modes. Easy mode, Medium mode and Hard mode. There are also three different camera modes, over the shoulder view, low and high isometric view. Unfortunately, The Witcher players don’t have the option to create their own character, so instead they have the main character Geralt. Geralt and his skills can be upgraded during the game, throughout his splice of quests., where he is earning bronze, silver and gold talents. His attributes are Strength, Stamina, Dexterity and Intelligence. 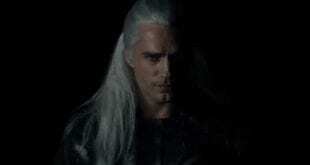 His five magical signs are Aard, Axii, Igni, Quen and Yrden, followed by his fighting styles, strong, fast and group. Geralt also have his inventory, where the player can collect all of the fallen items, such as weapons, food, drinks, ingredients for potions, which can be used for his alchemy. An innovative, time delayed decision-consequence system means that the repercussions of players decisions will make themselves apparent up to 10 –15 hours later in the game. This prompts the players to put more critical thinking into making each decision, and circumvents a save-reload approach to decision making. It also allows the game to have a unique approach to replay value, as the consequences resulting from the player’s decisions can lead to great difference in the events that take place later, and ultimately a very different gameplay experience than in the prior play-throughs. 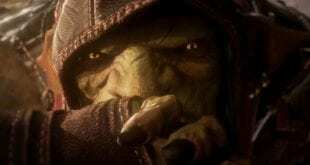 The nature of the options faced when playing the game rarely falls into the typical black-and-white morality present in most regular computer RPGs, and the players often find themselves choosing from the lesser of two evils rather than making a clear choice between good and evil, a situation more reflective of real-life morality. The Witcher 3: Wild Hunt Complete Edition is the latest chapter of the game, where all the previous chapters takes place in. You will come in face to face with the child of the oracle, track down a eternal outlaw ruler in Hearts of Stone. The focus of the game is in the newest region and sphere to be seen. With a bigger world come new side-quests to engage in, enemies to defeat, and points of interest to discover, hiding powerful equipment. The latest chapter is introducing the progression of the characters, where with Runewords and Mutations, allows the gamers to develop their skills, in combat and out of it. The Witcher 3: Wild Hunt Complete Edition truly offers the ultimate Witcher 3 experience. Pac-Man Championship Edition 2: Can it Get Any Better?